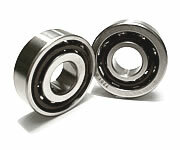 WBES have been identifying and supplying all types of Bearings for more than 30 years. There are numerous different kinds of bearings that are designed to handle radial load, thrust load, or some combination of the two. Because different applications require bearings that are designed to handle a specific kind of load and different amounts of weight, the differences between types of bearings concern load type and ability to handle weight. Ball bearings are extremely common because they can handle both radial and thrust loads, but can only handle a small amount of weight. They are found in a wide array of applications, such as roller blades and even hard drives, but are prone to deforming if they are overloaded. 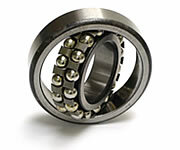 Roller bearings are designed to carry heavy loads—the primary roller is a cylinder, which means the load is distributed over a larger area, enabling the bearing to handle larger amounts of weight. This structure, however, means the bearing can handle primarily radial loads, but is not suited to thrust loads. 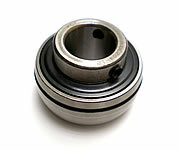 For applications where space is an issue, a needle bearing can be used. 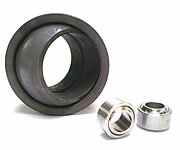 Needle bearings work with small diameter cylinders, so they are easier to fit in smaller applications. 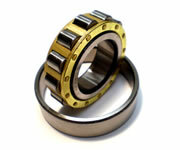 These kinds of bearings are designed to handle almost exclusively thrust loads in low-speed low-weight applications. 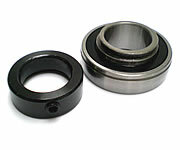 Bar stools, for example, make use of ball thrust bearings to support the seat. 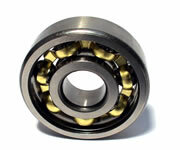 Roller thrust bearings, much like ball thrust bearings, handle thrust loads. 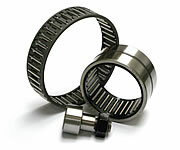 The difference, however, lies in the amount of weight the bearing can handle: roller thrust bearings can support significantly larger amounts of thrust load, and are therefore found in car transmissions, where they are used to support helical gears. 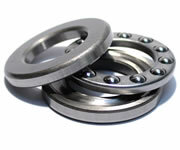 Gear support in general is a common application for roller thrust bearings. 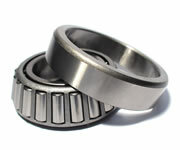 This style of bearing is designed to handle large radial and thrust loads—as a result of their load versatility, they are found in car hubs due to the extreme amount of both radial and thrust loads that car wheels are expected to carry. 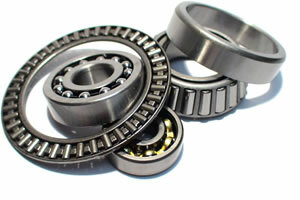 There are, of course, several kinds of bearings that are manufactured for specific applications, such as magnetic bearings and giant roller bearings. Magnetic bearings are found in high-speed devices because it has no moving parts—this stability enables it to support devices that move unconscionably fast. Giant roller bearings are used to move extremely large and heavy loads, such as buildings and large structural components.